Get 10% discount on any eShop package! Our crazy easy eShop Builder is a super convenient ecommerce shopping cart that lets you launch your online store in no time with convenient Drag 'n' Drop features. Get a discount on your chosen eShop package at Crazy Domains. We bring you the best offers to take advantage of more opportunities for your business. Whether your package is eShop, eShop Plus or eShop Pro, we've got you covered. This promo applies to all bundles to help you take the best advantage! 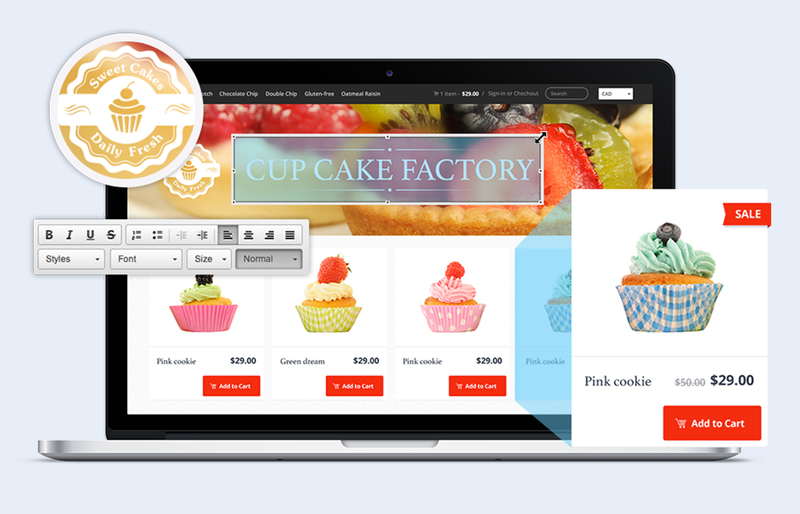 Our eShop Builder platform is trusted and used by over 500,000 online stores globally. Launch your website with mobile-ready professional designs. Manage customer orders wherever you are, from any device. The simple dashboard lets you easily manage customer accounts and track orders for efficient fulfillment. eShop offers complete integration, supporting multiple currencies with more than 40 payment options available, plus 45 languages to help you get the best reach for an international audience. 10% discount on any package! With our latest Crazy Deal, you get 10% off when you purchase any eShop Builder package at Crazy Domains! Go all out with your dream online shop and start selling. Simply choose the best package to suit your needs. Use the promo code CRAZYSHOP when you checkout to claim your discounted price. * Terms and conditions apply. Promo cannot be used in conjunction with any other offer, sale, discount or promotion. After the initial purchase term, discounted products will renew at the then-current renewal list price. Offer does not apply to renewals or transfers. Offer applies to all markets. Dreamscape Networks FZ-LLC reserves the right to refuse, cancel or delete an order under any circumstances or basis at its discretion and shall not be held liable for any matters resulting from such actions.